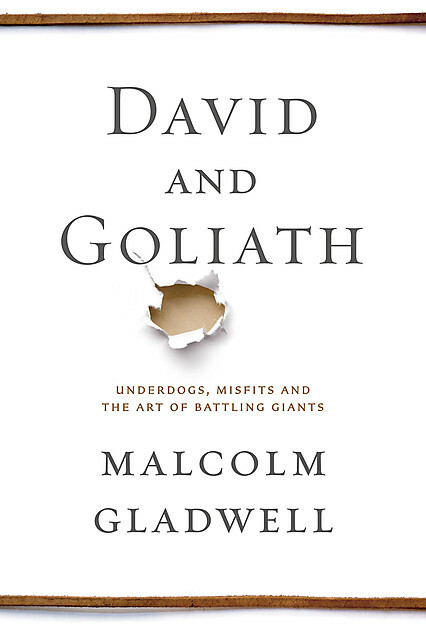 “Courage is what you earn when you’ve been through tough times & you discover they aren’t so tough after all”, writes Malcolm Gladwell in his latest book David and Goliath. Today is International Stuttering Awareness Day, a day when those words, and Gladwell’s new book, are well worth exploring. It is an attractive idea (one I believe in wholeheartedly) and the most intriguing piece of the book focuses on the theory of “desirable difficulty.” Gladwell argues that people have the potential to succeed not in spite, but because of their disorders. That they can learn something in their struggle that proves to be an enormous advantage. As an example of desirable difficulty, Gladwell highlights a man called David Boies. Boies is dyslexic and he went from being a construction worker to “one of the most famous trial lawyers in the world.” Whether or not it is true, Boies attributes his success to the ways his dyslexia forced him to adapt. Because he found it hard to read, he became a phenomenal listener. Because of his need to simplify issues to their basic components, he presents a case that every juror can easily understand. For all of its difficulty, his limitation has fostered certain great strengths. It is an idea that I have heard over and over in the stuttering community – the idea that stuttering has the potential to make us more empathetic, more humble, more resilient, more driven to succeed. I know that, in my own life, stuttering has forged an obsession with the rhythm and complexities of language that makes me the writer I am. And yet, beyond those qualities, David and Goliath introduces another, somewhat unexpected, strength: the willingness to be disagreeable, to exhibit a lack of concern for social norms. We need to play by own rules in order to succeed. However silly the example, it takes a certain amount of courage to be the man in that joke, to own your limitation and work within its strengths. As a society we need people who take that idea one step further, people who have used whatever difficulty they have and turned it into a form of greatness. We need those people who are courageous by necessity. This entry was posted in book review, gratitude, vulnerability by Katherine. Bookmark the permalink.